In the TV special WHEN CALLS THE HEART: THE GREATEST CHRISTMAS BLESSING, Elizabeth is a month away from giving birth when a group of orphans come to town for Christmas. Well written and acted, THE GREATEST CHRISTMAS BLESSING has a strong Christian, morally uplifting worldview… and Christian Christmas carols sung. It’s a show about a community of people following Christian principles, loving each other, guiding each other, and caring for each other. : Elizabeth is a month away from giving birth when a group of orphans come to town for Christmas in the new television special WHEN CALLS THE HEART: THE GREATEST CHRISTMAS BLESSING. WHEN CALLS THE HEART: THE GREATEST CHRISTMAS BLESSING has a strong Christian, morally uplifting worldview, emphasizing giving, caring for and loving others, even strangers. Elizabeth is excited about having a baby in one month, but she also doesn’t feel completely prepared. She feels sad that her loving husband, Jack, who passed away recently, will not be there for the life of the baby. Though this is the case, Rosemary, Abigail and the whole town are there for her. Abigail is preparing the town feast, but it seems like everyone is changing their minds on what they want to cook. When someone tells Abigail they aren’t doing their roast, she’s tasked with the main part of the meal. Just as she thinks she has things under control, a group of orphans come into town with two caretakers named Grace and Lilian. Grace and Lilian reveal they are on their way to open an orphanage in the house where Lilian grew up, but the wheel on their carriage broke down. When Bill asks why they went the path they went, things seem fishy, but they must stay in Hope Sound until after Christmas, because the blacksmith who can fix the wheel is out of town. The children of Hope Valley embrace the orphans and decide to give them their most beloved toys, knowing that the children don’t have much themselves. Will the children make it to their new orphanage? Will Abigail be able to finish all the preparation for the feast? Will Elizabeth be joyous even in the midst of missing her husband and preparing for her child? Based on the popular Hallmark Channel series, WHEN CALLS THE HEART: THE GREATEST CHRISTMAS BLESSING is well made. The writing and acting are good. As with all of the WHEN CALLS THE HEART programs, viewers will enjoy following along with the storyline and the different characters. THE GREATEST CHRISTMAS BLESSING has a strong Christian, morally uplifting worldview, with the entire emphasis of the television special saying we must love other people, even if we do not know them. Each character learns to care and give to others during the Christmas season… and Christian Christmas carols sung. WHEN CALLS THE HEART: THE GREATEST CHRISTMAS BLESSING is a show about a community of people following Christian principles, loving each other, guiding each other, and caring for each other. One character lies for the benefit of others. 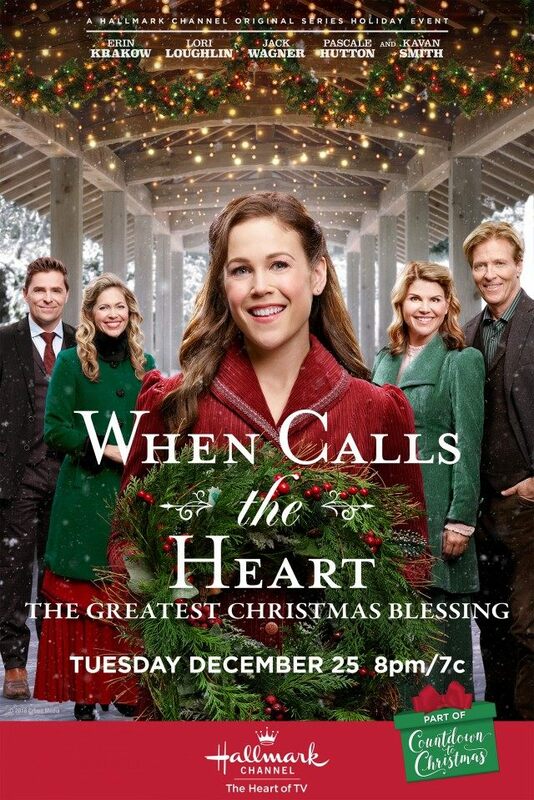 WHEN CALLS THE HEART: THE GREATEST CHRISTMAS BLESSING is a TV special based on the popular Hallmark Channel series. Elizabeth is a month away from giving birth when a group of orphans come to town for Christmas. Elizabeth is saddened by the fact that her late husband, Jack, will never meet their child, but Abigail and Rosemary are so kind to comfort her. When a group of orphans come into town with two caretakers, their story doesn’t exactly line up, but they will have to stay till after Christmas. Will the orphans feel at home in Hope Valley during Christmas? WHEN CALLS THE HEART: THE GREATEST CHRISTMAS BLESSING is well written and has good, solid acting. It has a strong Christian worldview, with the entire emphasis of the TV movie saying we must love other people, even if we don’t know them. Each character learns to be caring and give to others during the Christmas season. THE GREATEST CHRISTMAS BLESSING is a show about a community of people following Christian principles, loving each other, guiding each other, and caring for each other.